Mary England is HANDS DOWN one of the most interesting and colorful people I've ever met in my life. She's hilarious, down-to-earth, and a ball of wisdom. I'm SO excited to share this episode with you! 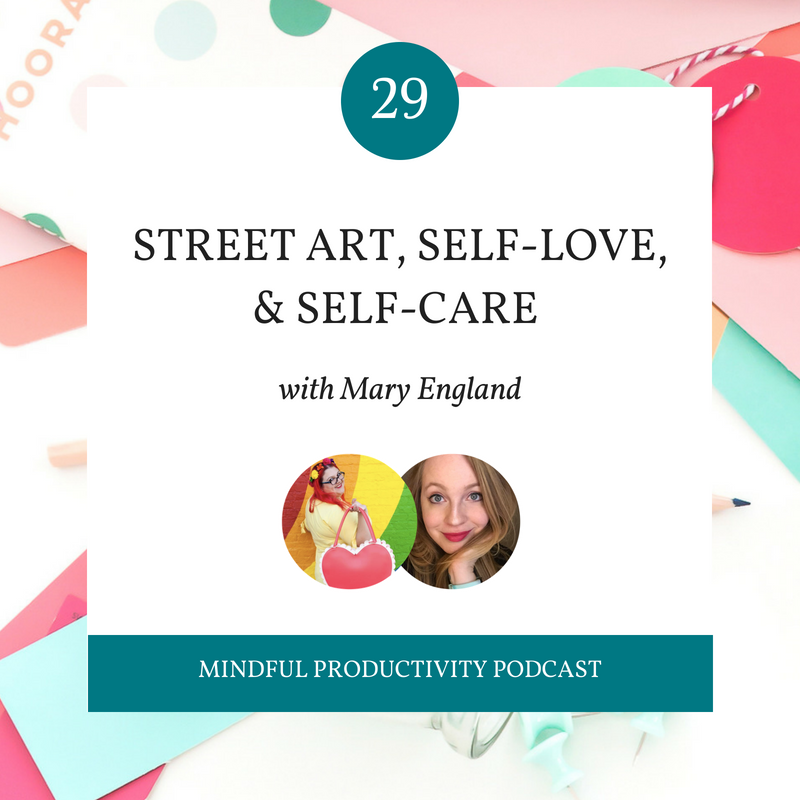 Mary England is a professional Merriment Maker, who after twenty-years of mental illness and work in the psych industry, has dedicated her life to making other people happy. Through blogging, 1:1 coaching, street art, and leaving a literal trail of glitter wherever she goes, she helps people fall head over heels with their bodies, choices, lives... the way they already are. Mary's Website - so many amazing things here!